This is the official website for the Spirit of Adventure Council that oversees and manages Troops, Packs, and Crews in Boston area and northern communities. We earnestly welcome you to the Scouting community and congratulate you on the start of your journey. Please feel free to explore our website for more information and to help you get started on your adventure. Subscribe to our newsletter to keep up to date on Scouting news and announcements within our council. Like us on Facebook also! If you are a new Adult Leader and have not yet sent in your CORI form, please download the form and mail it to the Council along with a copy of your Government issued ID and Youth Protection Training completion certificate. New England Base Camp : This is our premier outdoor adventure park, minutes from Boston! Everyone is invited to enjoy the outdoor activities and Scouts will be able to earn badges as they play. 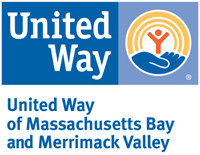 We have another main location in Kingston, NH and many other satellite locations. With the Adventure Card, Saturday Programs are free and camps, birthday parties, and other special events are discounted. 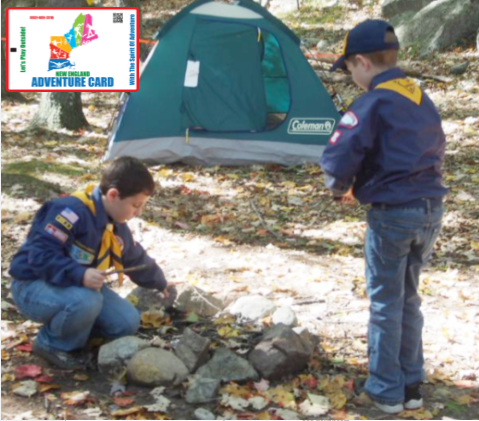 Adventure Card : Cub Scouts receive the Adventure Card as part of their registration. Boy Scouts and anyone else can purchase the card to receive discounts. With the Card, they can attend Saturday Programs at Base Camp for free and get discounts on other camps and programs.